“People love watching videos” “explainer videos are great way to make your product viral among your potential audience.” You might have heard these lines very often incase you have been looking to reach your potential audience with your product. Now, before you make up your mind just take a deep breath and think is it really necessary for your product to have an explainer video? While having an explainer video no doubt helps your prospective client to figure out how your product works and increases you chance of sale. 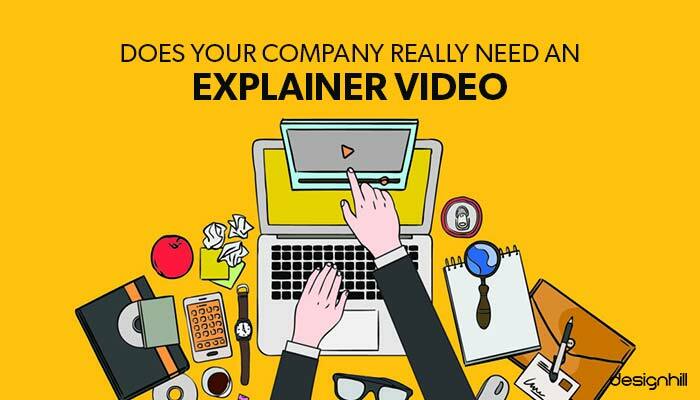 There might be scenarios that your customers do not need an explainer video at all. For e.g. if you deal with food, drinks or other such products then there’s hardly a need of explainer video as people already know how to use these products. There are several other such factors that would help you decide on whether or not to make an explainer video. Keep the video short, to the point and engaging. Always keep your target audience in mind while making these videos. Make sure that your website design compliments the video and the video is placed such that anyone can see it in the first glance. Think of what kind of video would be best for your business. Whether it’s whiteboard video, direct animated product video created by any animated video production company. Time is another important factor one must look into because if you have to spend too much of time on a single video, then it’s probably not worth. The last point to keep in mind is that whether or not you have the capability to make these videos by yourself. Else if you are outsourcing the process then one must take into account the cost involved. You can always hire freelance graphic designers and videos makers to help you make your design. So, we hope that through this article we have made your doubts on making explainer videos clear. If you have any doubts then do comment below and we would try to answer it. Also, do not forget to share your opinion and share this post on your social media account.